For the longest time, HyperX has created gaming headsets for a variety of platforms. PC, Xbox One, Switch, and even the PS4. Sure, all of their existing headsets work with the PS4. They’ve just never had an officially licensed headset from Sony’s camp. That is until now, as HyperX has announced their first licensed PlayStation 4 headset. HyperX is excited to work with an industry leader to deliver our first PlayStation 4 licensed gaming headset as we seek to expand our support for the console gaming market,” said Andrew Ewing, console products business manager, HyperX. “Now is a great time to engage a massive console audience that plays on millions of PlayStation 4 consoles across North America and Europe. 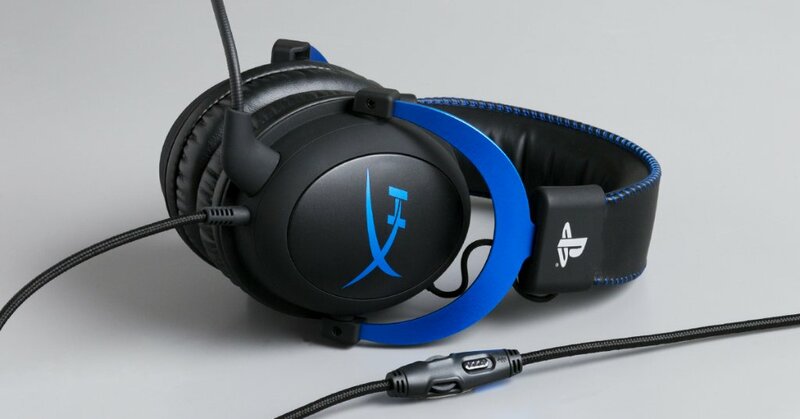 Similar to the previously released HyperX Cloud headset for the Xbox One that had Xbox green and grey accents, this PS4 headset is adorned with PlayStation 4 blue accents. It also sports the PlayStation logo on the headband. Construction-wise, it will be the same product you’re used to, but just customized for the PlayStation. The only other difference I’m seeing between this and the other Cloud headset is that the volume controller looks to be updated. It definitely looks different compared to the pair I have. HyperX claims this new headset is already available via Amazon and Best Buy for $79.99. However, I couldn’t find it on Amazon just yet, while Best Buy has it up for pre-order currently.